Perhaps you've noticed a ring of clear liquid near the top of your glass of wine, with droplets forming and dropping back into the wine. These are "tears of wine," also known as wine legs or "fingers." Physicists have been intrigued by them for over 150 years, and while the basic mechanism is understood, new research indicates that shock-wave dynamics may also play a role in their formation. UCLA engineer Andrea Bertozzi described her recent work on the subject today in Boston at the 2019 March meeting of the American Physical Society, the largest annual physics conference in the country. "There's been a flurry of activity over the last 30 years trying to understand more about this phenomenon, but nothing that really addressed the dynamics of the actual tear formation," she said. Adding shock waves into the explanatory mix "would explain why sometimes one sees tears of wine and sometimes one does not." 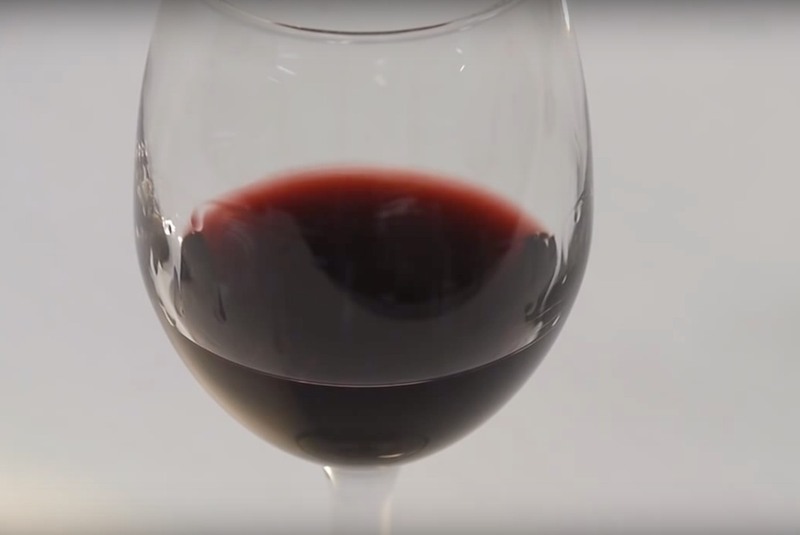 British physicist James Thomson (elder brother to Lord Kelvin) first noticed wine tears in 1855, although they're technically known as the Marangoni effect after Italian physicist Carlo Marangoni. The phenomenon is also responsible for the infamous "coffee ring effect," which has also generated much interest among physicists. It's most notable in wines (or other spirits like rum) with alcohol content at least as high as 13.5 percent. (That's because alcohol has a lower surface tension than water.) If you spread a thin film of water on your kitchen counter and place a single drop of alcohol in the center, you'll see the water flow outward, away from the alcohol. The difference in their alcohol concentrations creates a surface tension gradient, driving the flow.